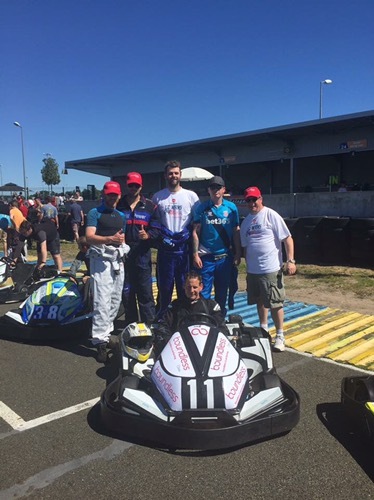 Back in July I was invited to be part of a team representing CSMA (Civil Servive Motoring Association), competing at the Le Mans 24 hour rental karting race. Those who know me well will probably know I’ve not really stopped talking about it since (! ), so is a little memoir of what happened. Being part of a team of six, I was taking two of the team with me, my friend Oliver Boote, along with a guy that would become a new friend, Stuart Gibbsslong with his partner Charlotte. 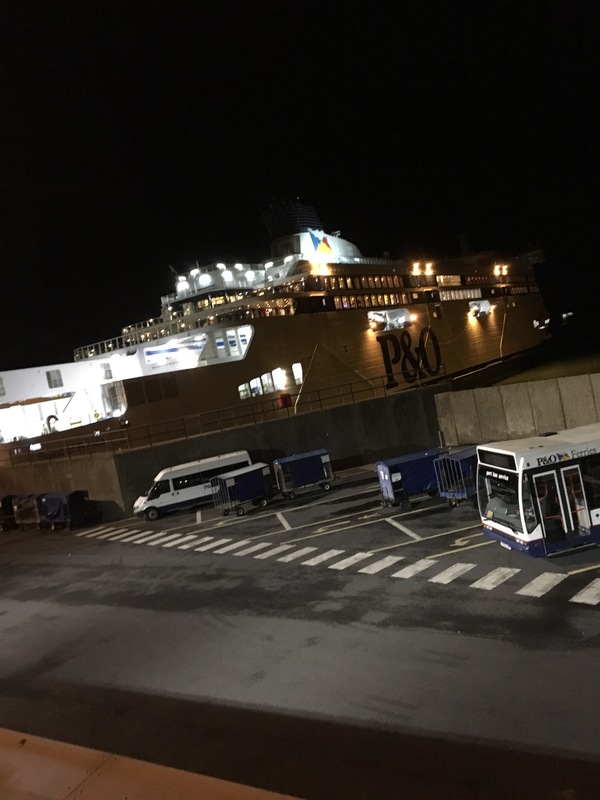 Due to the pick ups this involved a trip from Shropshire via Stoke and Cambridge on the Wednesday evening, arriving comfortably in Dover late at night. This was just before the trouble at the ferry terminals so we were through on on the ferry relatively quickly. Quite a journey down to Le Mans, but with the weather improving we eventually arrived on site. 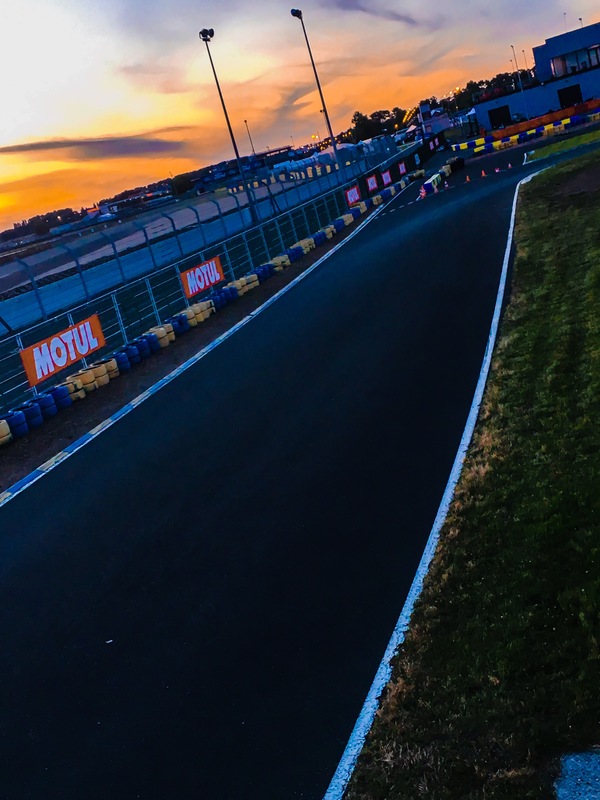 First impressions of the Le Mans track were of it looking a little desolate compared to the glitzy images shown on camera for the main 24 hour race. 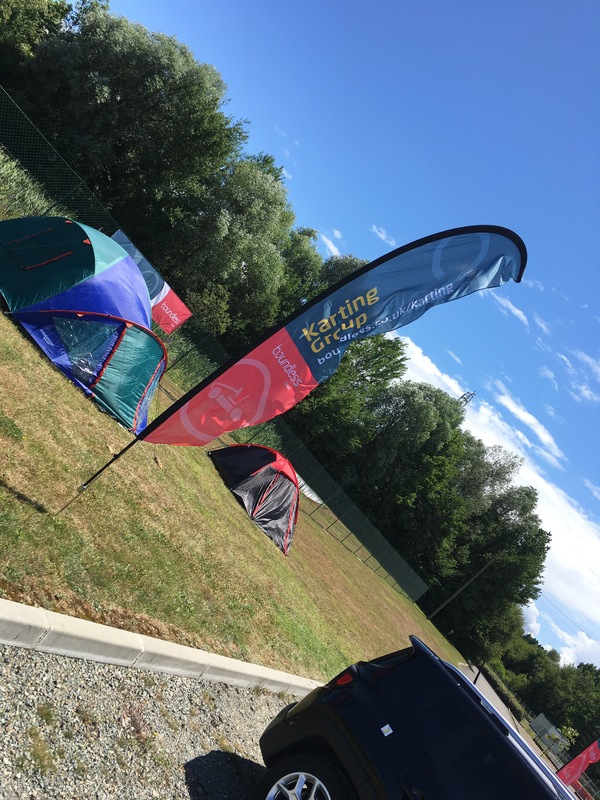 Camping consisted of one of the only patches of grass at the venue, on the edge of the car park! 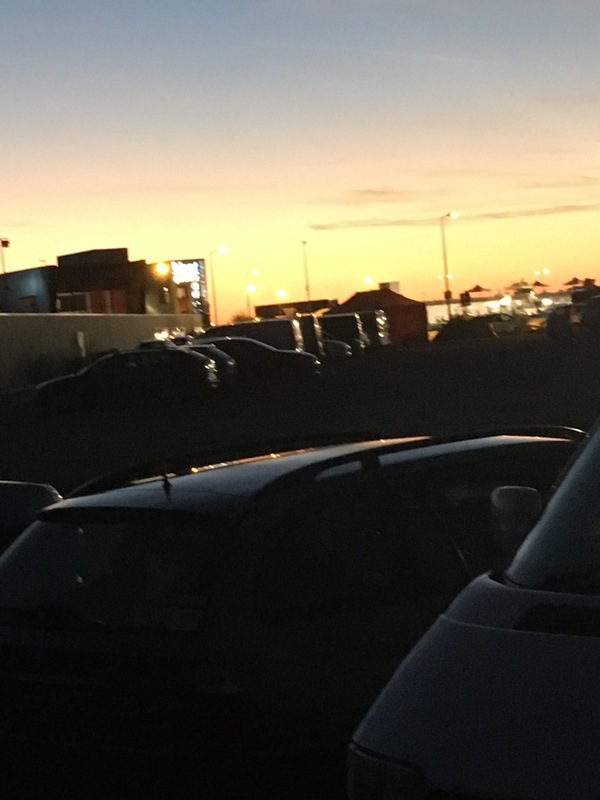 But it didn’t take long for the romance of the venue to set in… having a KFC on the side of the Mulsanne straight was a fun novelty! 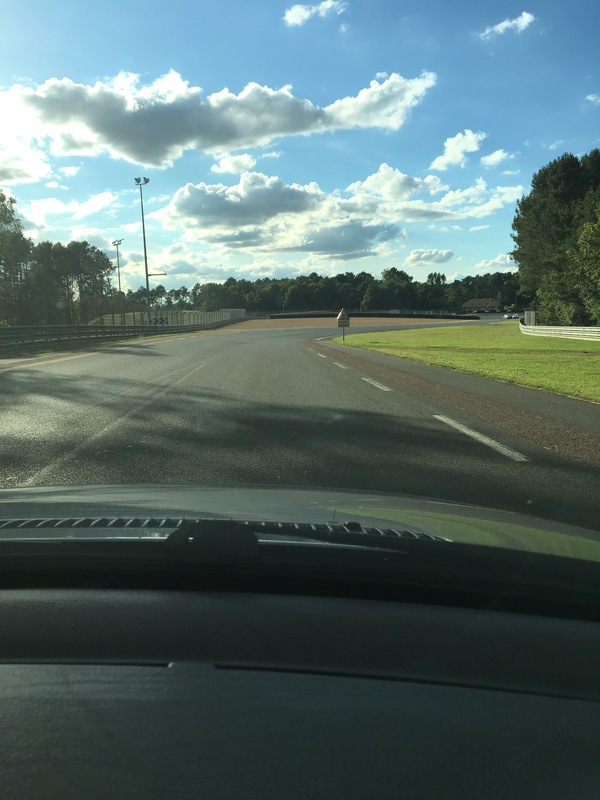 Much of the Le Mans circuit is on public roads, so it was fun to experience the majority of the famous Le Mans circuit in the road car. 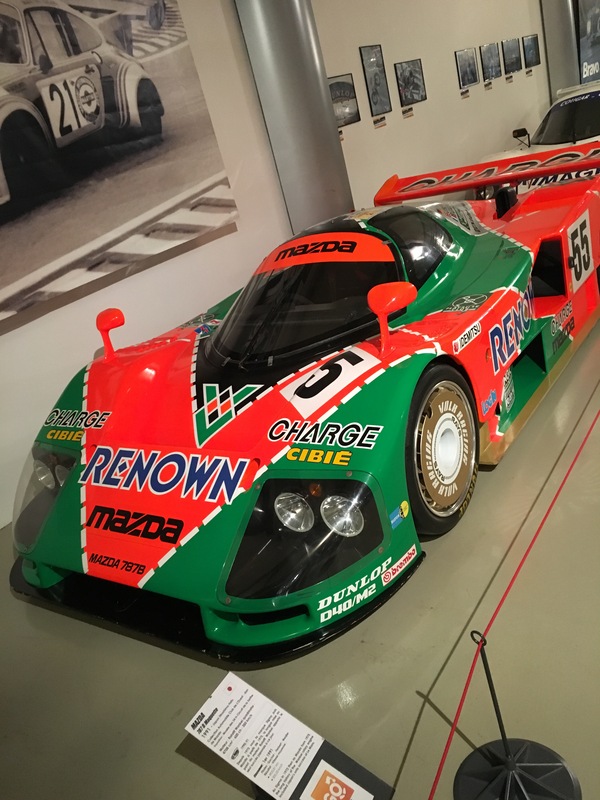 Added onto that was the excellent Le Mans museum, which was 8 Euros well spent. 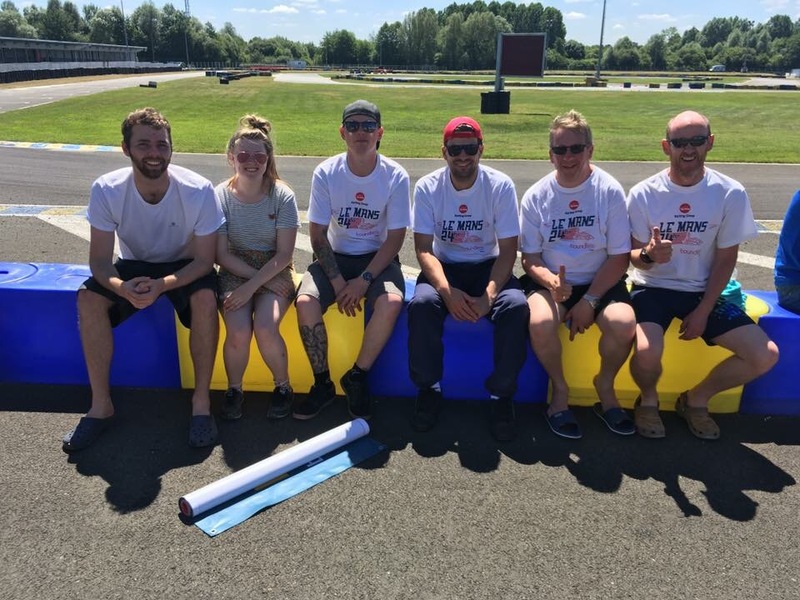 Our event was organised by Teeside Karting, who shipped out all the karts for the event. Mostly UK teams with a few French teams thrown in for good measure. The venue itself was the ‘Circuit Alain Prost’, for those who know the Le Mans circuit, this is alongside the Porsche Curves leading to the Ford chicane at the end of the lap. 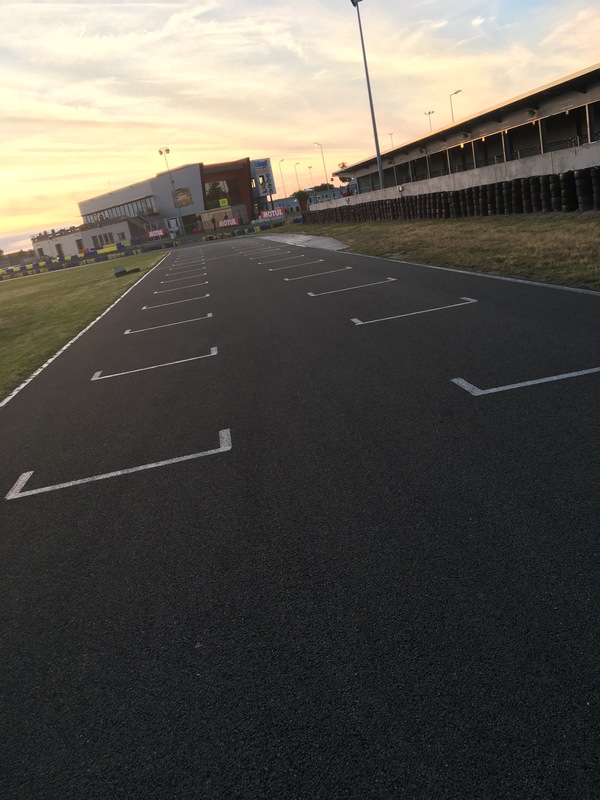 In recent years a rather excellent international karting track has opened next door which makes Circuit Alain Prost look a poor relation, yet if ‘our’ track was in the UK it would easily be one of the best in the country. Some money had been spent on the track, the rather tatty pit area has been replaced by a new pit area together with cafe and showering facilities. Thursday was pretty much a rest day, relaxing after the long drive, getting some shopping from the local Carrefour supermarket and soaking in the great atmosphere. Already it would be one to look forward to. Most teams arrived from the UK on Friday, and a rather desolate car park became a bustling paddock area as the day went on. The big moment would be the arrival of our kart! 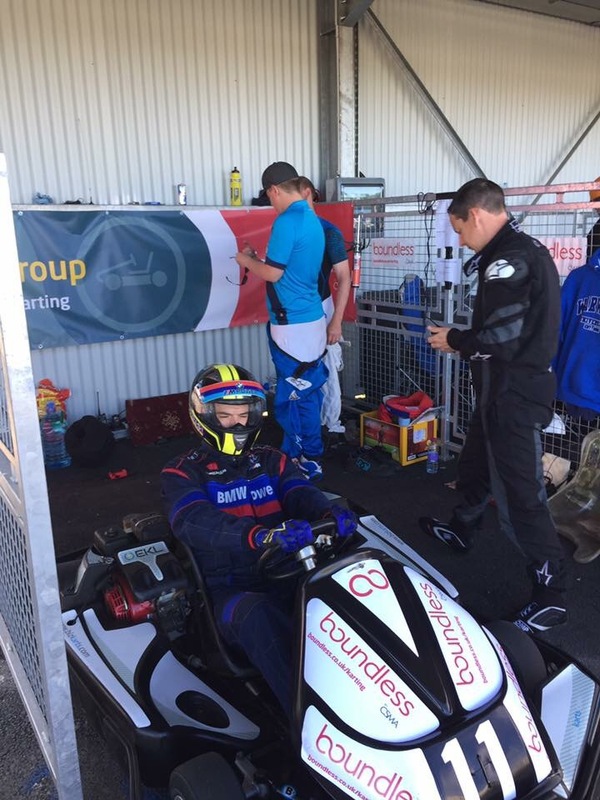 All teams used the same twin engines karts, and were permitted to make minor modifications along with fitting team graphics. In the pit area, it was obvious who had competed before! 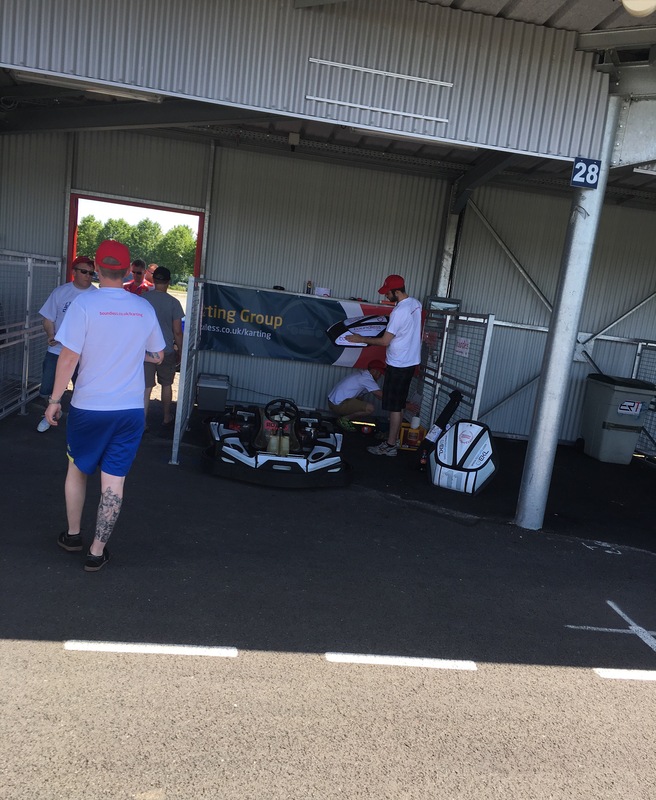 Some of the pit areas included wardrobes for team kit, desks and even a fridge was seen being carried into the pits… genius when temperatures were over 30 degrees Celsius. Apparently it was bought for a quid off eBay! 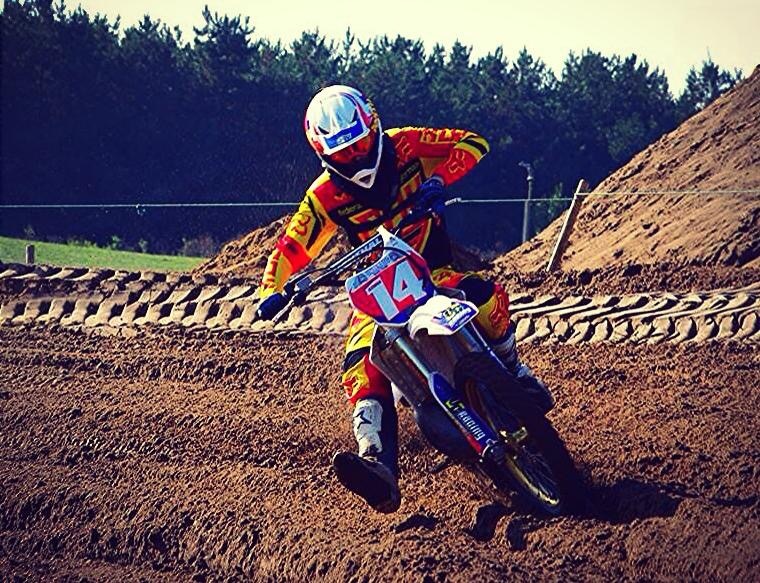 Friday’s track action consisted of a 2 hour free practice session. Each of the six drivers had track time, unfortunately I mis-interpreted the pit signal and came in five minutes too early. That was the least of our problems… at the the end of the session we were comfortably the slowest team! 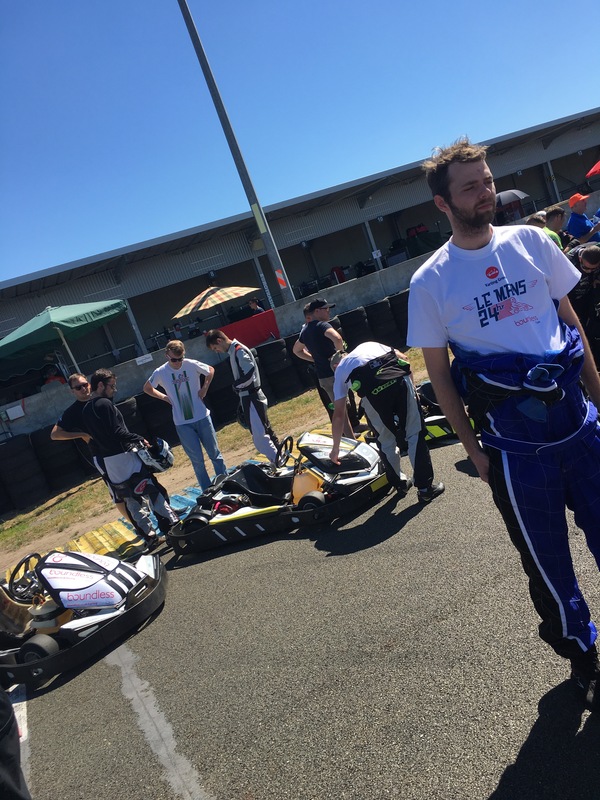 In a rather demoralised paddock after the practice, it was felt that although we were by no means the fastest team of drivers, the kart was losing power, other teams were flying past us down the straights. 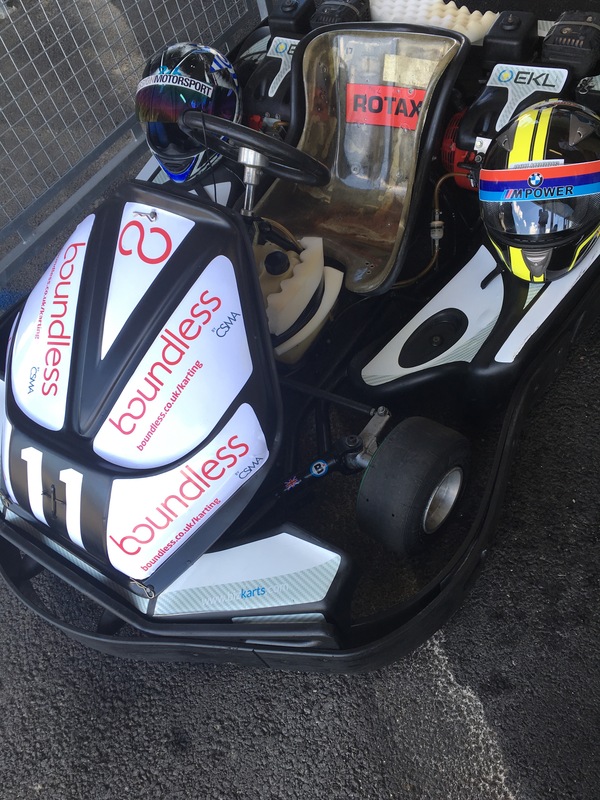 A request was made to the organisers to look over the kart, and it was with hope we looked forward to Saturday, and the morning qualifying. So the big day was here! Events started with a one hour practice session, and I was first out, to make up for the time I lost on Friday. 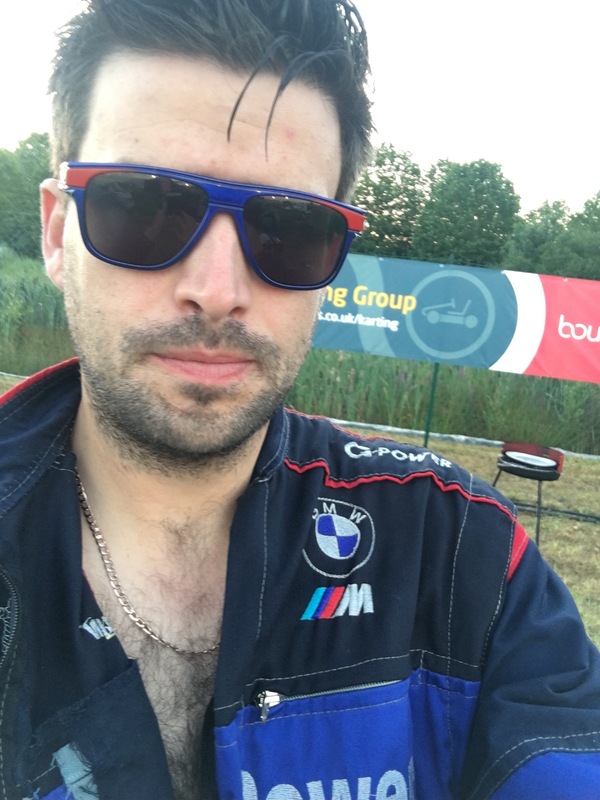 Out nice and early for practice the kart immediately felt more responsive and fast… and I returned to a very happy pit where I found out I had gone faster than any of our drivers on Friday! Encouraging news, and as the times continued to tumble we were confident of qualifying ahead of a few teams… following practice was qualifying where we ended up in 33rd from 39 teams. Midday and race start was fast approaching… it was getting more real! 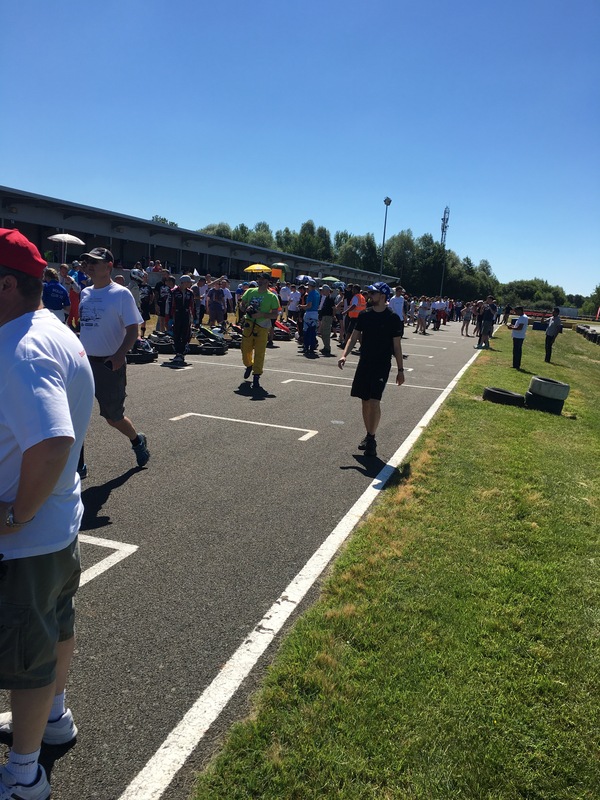 Following the drivers briefing, all drivers assembled on the circuit infield where a minutes’ silence was held as a mark of respect to the terrible events in Nice that we all woke up to on Friday morning. It was an emotional moment as we stood in support and solidarity with our French rivals, all equally appalled by what had happened. Race time was fast approaching! Originally Oliver was set to start the race, however he was struggling with a back injury so Iain, who had also been quick in qualifying took the lead role. The start was a traditional Le Mans start, with drivers running to their karts, getting in and going. The grid was a hive of activity with 39 teams all about to embark on their own adventure. Some were there to win, others (like us) were simply hoping to finish and give a good account of ourselves. As you can guess from the pictures, it was hot! 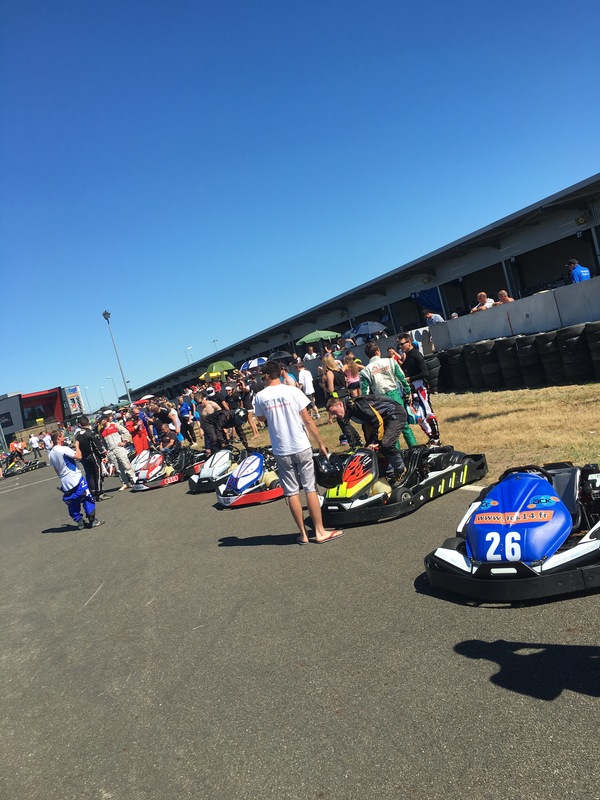 The big moment was at 12 as the teams charged to the karts and the race was on! We settled into a rhythm quite well, running in around 30th place, and at around 4pm my big moment had arrived, I would be taking part in the 24 hour race! It was an exhilarating moment taking to the track for the opening laps. The track was an exciting mix of fast straights and some really challenging fast corners and I was enjoying mixing it with the other drivers. Suddenly a rather serious problem developed… the steering wheel was falling apart! A kart steering wheel is attached by three bolts, and the wheel had snapped on two of them. This presented a dilemma. Pitting without a new wheel ready would cost valuable time, yet the wheel was getting more and more unstable, rather scary on some of the fast corners! As the laps went by I was able to maintain a decent pace, yet the steering wheel was getting more and more fragile, being held on by just one bolt and metal that was fast becoming fatigued. 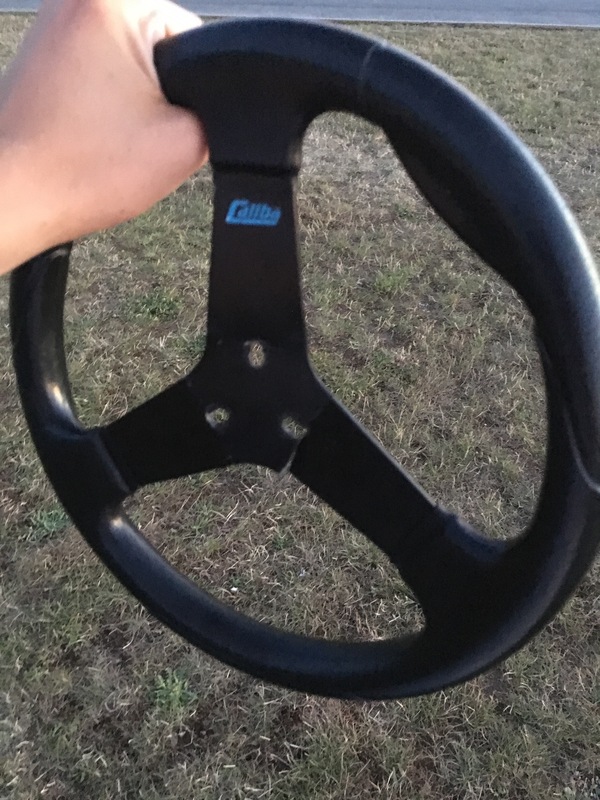 If it would fail anywhere it would be on a fast corner, so I eventually had to pit for a new steering wheel. Extremely frustrating but at least I was safe! Back on track I really enjoyed my stint. There was a challenging chicane leading into the final right hander, where with correct line choice it was possible to take without lifting off the accelerator. Quite a crowd was assembled here and it was fun to tackle that section. Another excuse to drive down the Mulsanne straight then pretty soon night fell, and the toughest part of the race as fatigue sets in. Most of the team was in the pits during the day, however we agreed to only have a skeleton crew during the night to allow drivers to sleep. At around 2am I opted to go and sit in the pits. And drink Red Bull. And more Red Bull. Stuart was scheduled to drive at 4am but was feeling tired so we agreed to swap our driving stints. Very surreal to be kitting up to go karting at 3:45am! 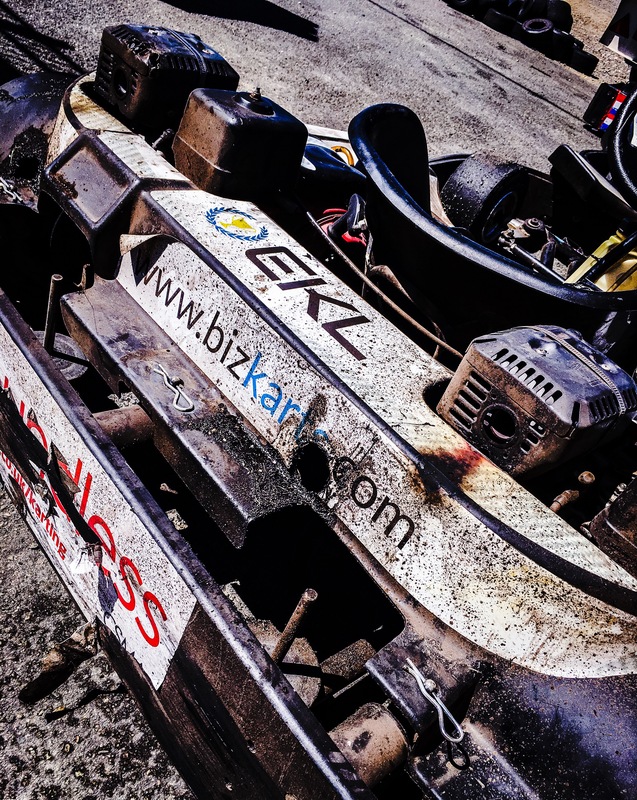 Unfortunately there were more problems as the kart’s carburettor became clogged, losing us more laps. 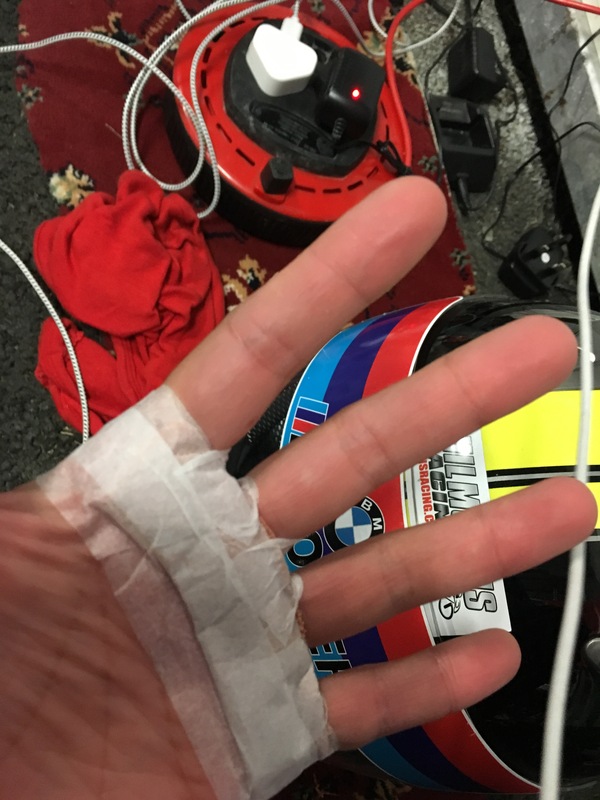 However this was a sting that really gave me a 24 hour race feel. I started off in the dark and could see the sun gradually rising more and more as time went on. It was a tough stint however, the visibility was difficult, grip was reduced as the track temperature dropped, and I had to drive through some rather savage cramps in my upper arm. I was drenched in sweat when I pulled in to complete my stint, but had really enjoyed myself. Following on from this it was time to have some breakfast (rather excellent museli from Carrefour) and watch the rest of the race. I helped out ‘spotting’ on the team radio in the closing two hours, helping the drivers on track in the closing laps. Unfortunately we lost a few places through no fault of our own when another driver completely wiped out our kart on the first bend, putting our driver Simon into the gravel. Missed by the marshals and officials so no action was taken against the perpetrator, whilst we lost laps and positions getting the kart recovered from the gravel. Eventually we finished 33rd from 39. A good debut, and perhaps if the cards had fallen out way a bit better we could have climbed higher up the leaderboard. Very satisfying to complete the challenge however! With most of the UK teams leaving after the event, the once busy paddock area soon became very quiet. 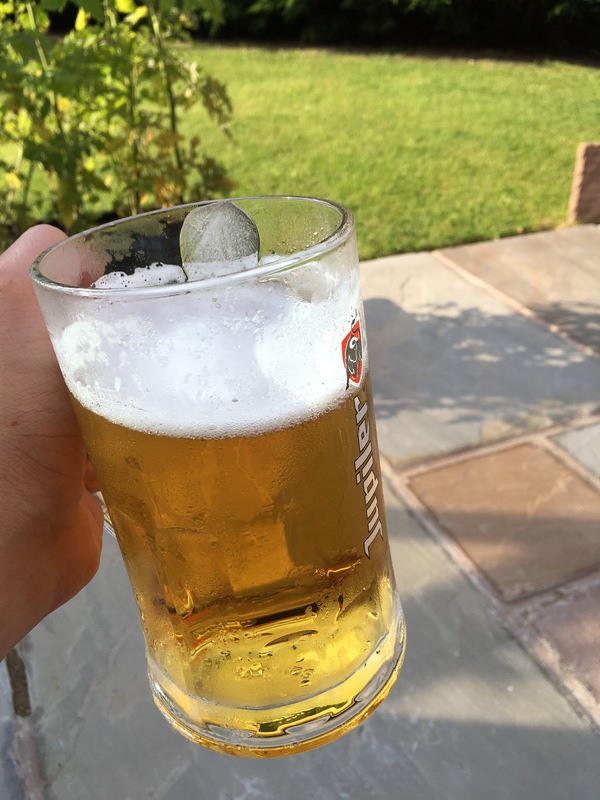 We relaxed in the sun during Sunday afternoon with me enjoying perhaps the most refreshing pint I’ve ever had! We also enjoyed a wander round the International circuit next door, where some of the bikers were still partying. 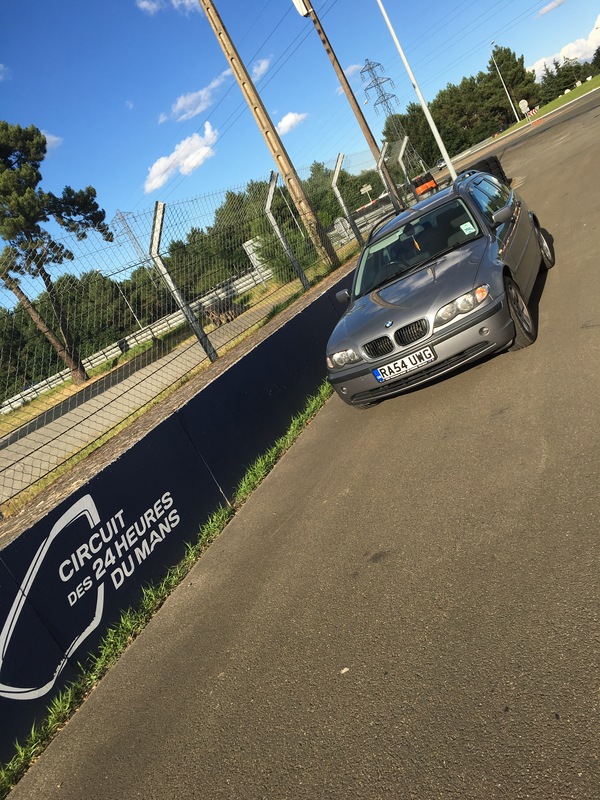 And one last chance to soak up the unique atmosphere of Le Mans before the drive home early on Monday. Was a long journey home on Monday, although Club Lounge first class travel on the ferry helped! I returned to Shropshire at 11:30pm on Monday, pretty tired but having had a real adventure. My birthday was the day after, but a rather quiet affair! Hope to be back at Le Mans for 2017!